Do you love crunchy muesli? Then my easy homemade granola recipe is perfect for you. It is fiber-rich, high in protein, refined sugar-free, vegan, gluten-free and simple to prepare for a clean eating breakfast. Is store-bought granola bad for you? You probably avoid highly processed, store-bought breakfast options anyway. 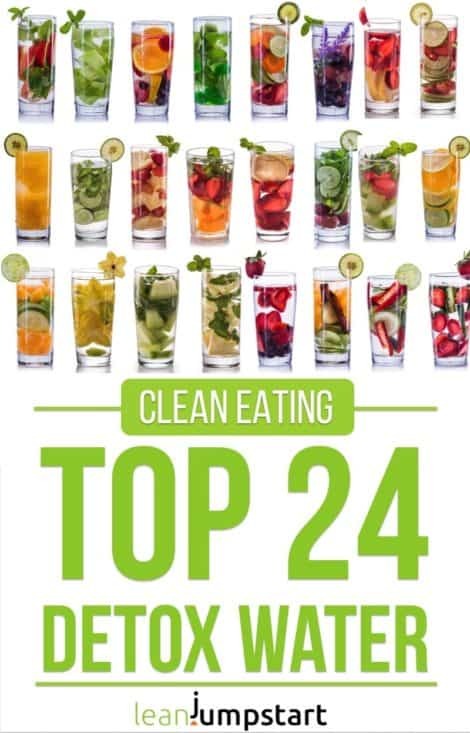 Many cereal blends usually contain a lot of unhealthy white or brown sugar, fats, and unnecessary ingredients – regardless, if you buy them in a regular supermarket or in a health food store. Also, the store-bought seemingly healthy granola cereals are often overpowered with agave syrup, maple syrup, honey or other sweeteners. 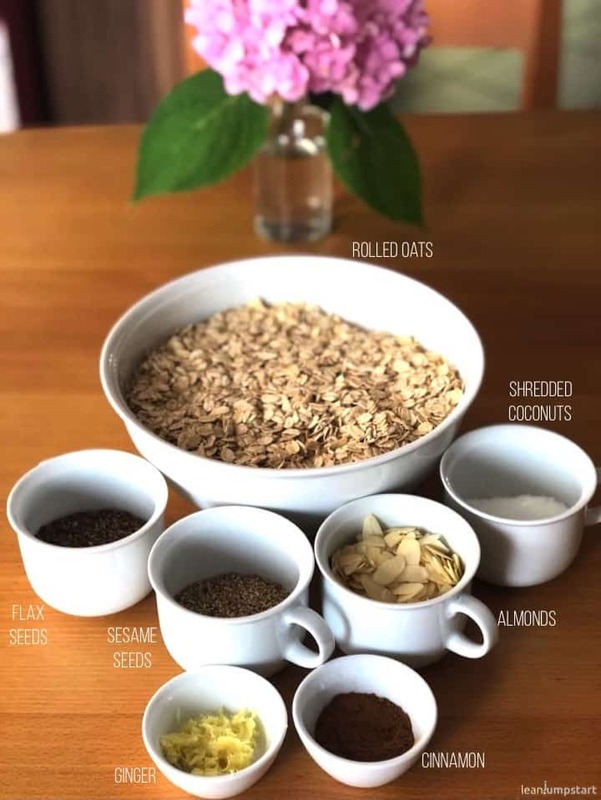 Making your own healthy homemade whole grain mix, gives you control over the quality of ingredients, the fiber content and the amount of sweetener. 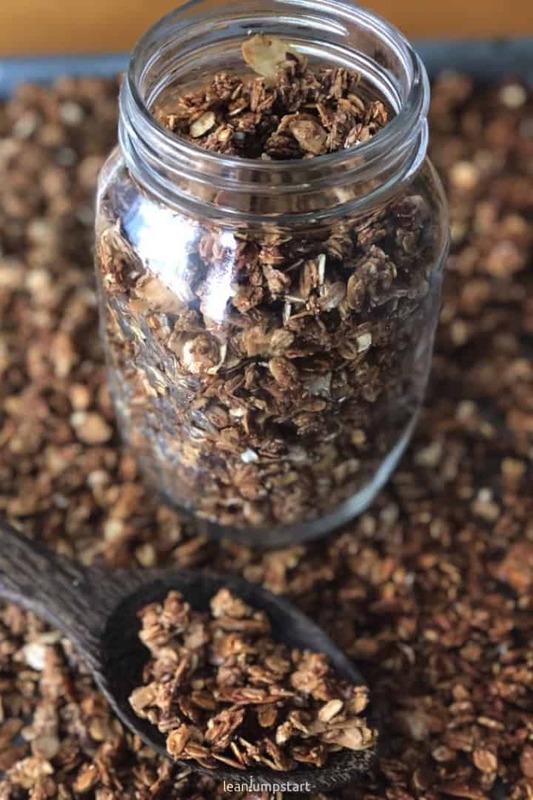 It is so easy to create a batch of granola that is delicious, high-fiber and meets your own preferences by adding the flavors that you love. For many people living outside the US, this question is justified. I know that the US has a long granola tradition, but this is not true for the rest of the world. 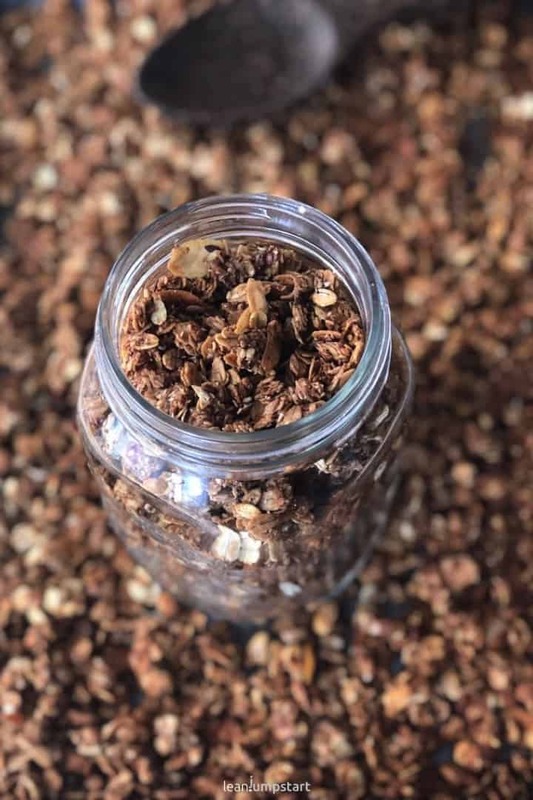 Granola is a muesli type that comes quite close to the common crunchy muesli, but cannot be compared to the calorie-rich processed product thanks to its healthy ingredients and the absence of table sugar. Instead of clumps of cereal-sugar sticking together, each grain and seed is crispy and coated with a hint of honey or syrup. These grains therefore usually do not taste horribly sweet, but get their special flavor by e.g. seeds, nuts, or also coconut flakes and spices. While oatmeal and granola share a similar oat base, their end products offer two very different breakfast types. Oatmeal is made from oat grains, which are processed into various forms such as rolled oats, ground oats, crushed oats, and steel-cut oats. Granola is also made from oats but contains a number of other ingredients such as nuts, seeds, and natural flavor. In addition, this healthier option is often sweetened with syrup or honey. All these ingredients are then usually baked or roasted to give the breakfast cereal a crispy consistency. How to make crispy healthy granola at home? Ok, let’s look a bit closer at the main components of easy homemade granola. Many oats: Regular oat flakes (optionally also wheat or spelt flakes) should make up the majority of the mixture. They are high-fiber, high-protein, low-fat foods and put far less strain on your wallet than many exotic kinds of cereal. Avoid instant flakes, as they are not only highly processed but they would also dissolve when baking in the oven. Low sugar: Possible clean eating sweeteners are date syrup, coconut blossom sugar, honey, or maple syrup. I prefer to use date syrup but still try to keep it at a minimum. The great thing about date syrup is that it’s made from pure fruits (dates) and many of the nutrients are retained. It has also a low glycemic index avoiding the spike in blood sugar, which is crucial to our body’s regulation of blood glucose. Important: As sweeteners caramelize easily in the oven and hold the mixture together, totally sugar-free granola will not bring you the wished baking results. Low-calorie flavor: coconut flakes, cinnamon, vanilla pulp or cocoa powder are low-calorie but so tasty that you can easily leave out a little sweetener. Tip: By adding coconut flakes to your DIY granola you can further increase the fiber content of your clean eating breakfast. Nuts: Throw it in for more flavor and texture! Nuts not only bring you more protein, but they also provide many nutrients, such as vitamins and essential fatty acids. Small nuts such as hazelnuts, pistachios or peanuts can be added right away. Larger nuts, such as almonds, walnuts or pecans should be first chopped into smaller pieces. Nuts with the highest fiber content are almonds, pistachios or pecans. Seeds: With the addition of flax seeds, chia seeds, sesame, sunflower seeds or pumpkin seeds you can maximize the fiber content of your breakfast cereals. There is no other food type, which could compete with flax or chia seeds regarding their high fiber content per 100 grams. Dried fruits (optional): Dried cranberries, mango pieces, dried cherries, prunes or raisins, fit also well in a granola recipe. Thanks to the fruit’s own sweetness, you can use dried fruits as a natural sweetener. Whipping up your own at home is quick and super easy. It also makes your kitchen smell like heaven. I’ve divided my ingredients into two parts which you have to mix separately for best results. The two photos below visualize the main ingredients each. So here is my favorite crunchy breakfast: a fiber-rich coconut almond granola. 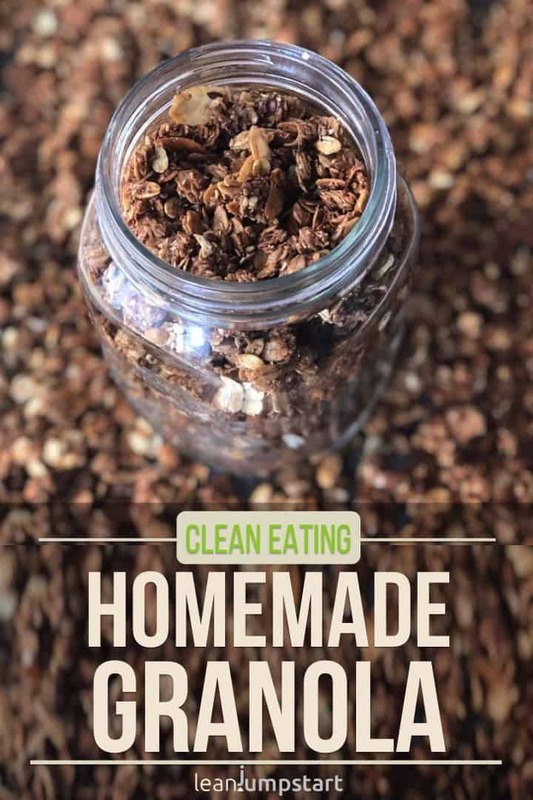 My easy and best granola recipe ever makes about 16 cups of granola – 1 cup (60 grams) is typically one serving. Preheat oven to 300°F/150°C and line two roasting pans with parchment paper. Combine the oats, coconut, flax seeds, sliced almonds, sesame seeds, cinnamon, ginger and salt in a large bowl. 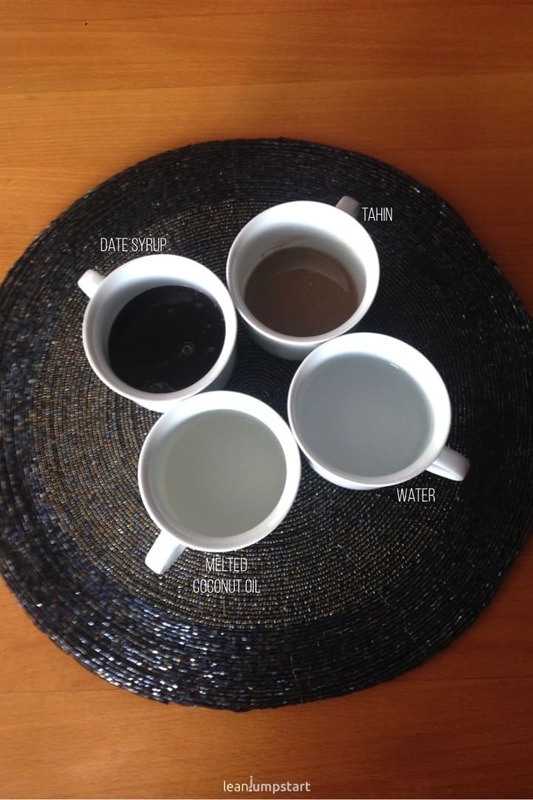 Mix together date syrup, water, tahini and melted coconut oil in a small saucepan until you have a smooth thick paste. Pour the fluid mixture over the oat mixture and toss well to combine. Divide the granola between the roasting pans and spread out evenly. Bake until the granola’s color has darkened to a toasty brown. Let cereals cool completely, directly on the baking pan (to make it crisp!). Store it in an airtight container for up to 3 weeks or serve it immediately. As nutrient dense as homemade granola cereals are, it is important to mention that they can contain up to five times as much calories as oatmeal. While this might count against them when it comes to weight management, don’t underestimate the huge health benefits of eating fiber-rich foods for breakfast. So, Is granola good for you? You bet it is! The high fiber content of my whole grains recipe will keep you longer full throughout the day, prevent hunger spikes and keep your bowels moving. For weight management, I recommend eating not more than a granola portion of 60 grams per day. By the way, a portion (60 grams) of the above presented homemade granola recipe contains around 10 grams of fat. If you want to lose weight you might want to reduce it to 1/2 cup = 30 grams of the cereal mix, per day. For a low-fat granola recipe, you can replace the almonds with cashews, which contain the least amount of fat among nuts. If you prefer low sugar granola but don’t want to lose on crunchiness, just lower the date syrup content and increase the amount of coconut oil instead. You should store your breakfast mix preferably at a dry and dark place! Ideal for this purpose are large mason jars or cereal boxes made of tin, which can be sealed airtight. Mason jars should be placed in a shady place (e.g. pantry because some ingredients would melt in too much sun and light. How long does granola last? If you use ingredients of best quality the homemade granola with coconut oil lasts for up to 3 weeks. If the contained oil or nuts start to smell rancid, it should be discarded as soon as possible. What to eat with granola? In fact, this question is very easy to answer: you eat it the way you like it best! For breakfast, the crunchy muesli usually ends up in a muesli bowl with some frozen or fresh fruits, (plant) milk, Greek yogurt or curd cheese. Fill the comforting and delicious treats into a mason jar and create a nice label with the type, fantasy name and/or the goodies that are included. Such a small gift is a pleasure for anyone! With school getting ready to start this will be great to have on the ready to send this kids off! For us this granola is also a winner, Traci!!! I’m glad that the ingredients suit your taste. 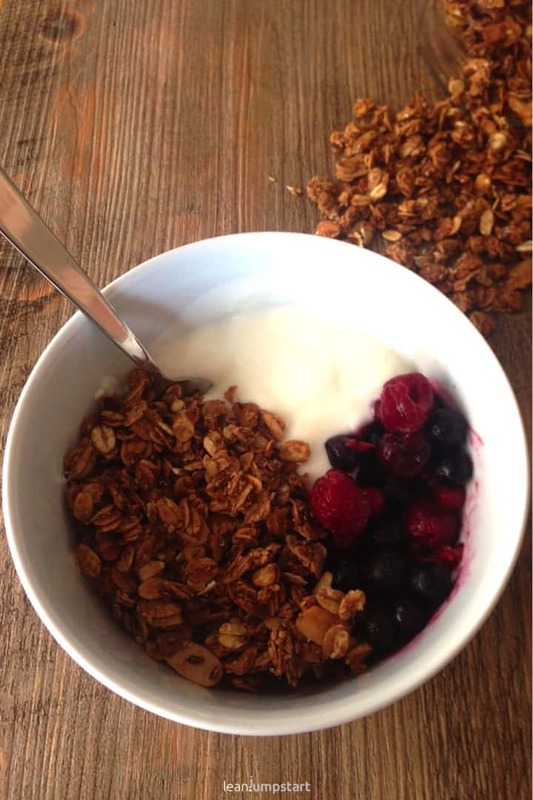 We love making our own granola. It’s so much cheaper and you can control exactly what goes in to it too. Absolutely Dannii! You can save even more money, when you buy your preferred ingredients in bulk. I love making my own granola; I like to know exactly what’s in there! This recipe sounds so wholesome and delicious – going to try it thanks! Hey Claudia, I’m happy that my recipe could inspire you. It is really simple. Yes I DO love crunchy granola. Homemade is the best too. This sounds delicious and I know it would be great with some yogurt for breakfast. I love to make my own granola for the reasons that you state. I’ve never tried date syrup though — that sounds interesting. I’m not a huge date lover but you won’t taste any in this granola. I love the fact that date syrup has a lower glycemic index than maple syrup or honey and still contains some important nutrients. My son loved granola but when he was diagnosed with nut allergies we took them off the list of safe foods to eat. Now, I can make it for him by taking out the almonds! That’s the real beauty of homemade granola, Dana. You can mix and match according to your (health) preferences.